Emotions were at the highest in Adelaide Oval. India VS Pakistan. From crowded streets to big offices and bed time talks, this match always found a place. Today was the day. The record stayed. Pakistan is yet to beat India in World Cup. They fumbled a lot while chasing the target of 300, the Indian batting line upset for them. Kohli and Dhawan stitched a partnership of 129 runs and laid a platform for others. Though the ball hasn’t done much today, the batsmen had their way. Stroking comes naturally to the Indian batsmen, and it was on display today. Indian innings revolving around centurion Kohli, with supporting hands of Dhawan and Raina, stamped an authoritative win over the arch rivals Pakistan, who had the same story again; Misbah-ul-Haq was the lone ranger. 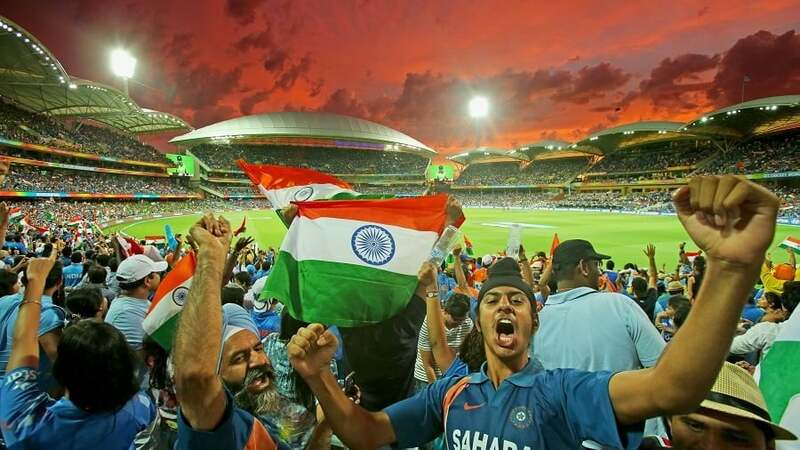 To start with, the Indian batsman were brilliant, displaying their maturity and masculinity. After Rohit Sharma got dismissed, courtesy his usual carelessness; Virat Kohli and Shikhar Dhawan made sure they made solid ground for a high total. Shikhar, who till now was lost in the blues, found form with a maturely scored 73, in which he showed that he has the capability to restrict himself from playing shots in the problematic areas.